The client's love for Mexican and South American art are scattered throughout the home, and color schemes inspired from various artifacts. The clients were moving from a larger property and downsizing to a two story condominium. Transformed from a concrete shell to a warm inviting home. 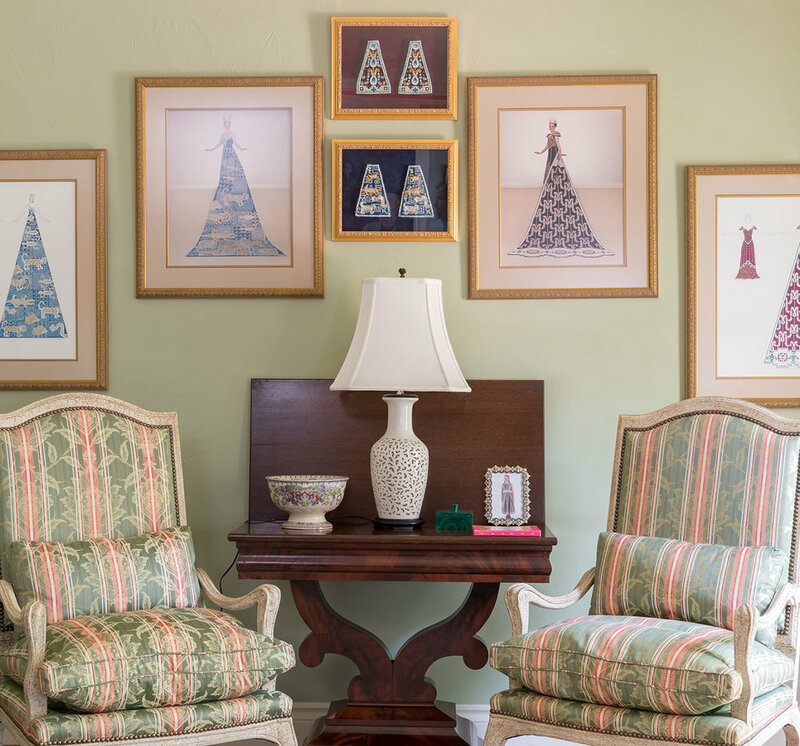 The challenge for this designer was to take two storage units of valuable collectibles and find a way to display them properly throughout the new addition. Derrick is an incredible designer. His professionalism and kindness make him a joy to work with on any budget. Our home reflects our creative spirit and our fabrics and furniture reflect a fresh design concept that will stand the test of time.